Scotty Bowers worked as a gas station attendant after returning from serving in the Marine Corps during WWII. He started arranging quickies and orgies for clients in a nearby trailer or adjacent hotel. 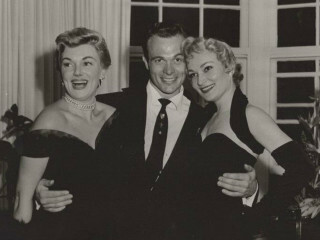 He continued his “introduction service” while working parties throughout Hollywood, catering to the wide-ranging tastes of both men and women - gay, straight, and everything in between. Though Bowers ended his services at the start of the AIDS epidemic, he left a lingering impact on many lives. Bowers was the source of some of the scandalous revelations in notorious Hollywood Babylon, and in 2012 he finally released his own exposé, the bestselling memoir Full Service. “The truth can’t hurt them anymore,” Bowers says of his decision to dish on the private lives of his mostly deceased clients. Matt Tyrnauer captures Bowers, now 94, in all his spry charm and lets his storytelling be the star of the show, taking in the wild tales of Cary Grant, Katharine Hepburn, Ava Gardner, Spencer Tracy, and other Hollywood royalty with an irresistible relish.